Welcome to the Transformation Goddess – Divine Feminine Spotlight for the last month of 2014. I’m so glad you are here! 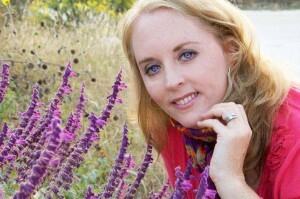 Today it’s my pleasure to introduce you to the Soulful Michelle Mullady. Here is a brief overview of our delightful conversation. I recommend you listen to the more intimate audio to receive the full energetic connection of this transformational conversation. I know you will enjoy Michelle’s positive energy and loving heart. True to my Scorpio Goddess nature I have seen significant transformations taking place in all areas of my life over the last 12 months. Since the moment that I stepped upon the path of conscious enlightenment 19 years ago, there really has not been a day where the Universe hasn’t taken its opportunity to restore my remembrance of my True Divine Nature. LOL! 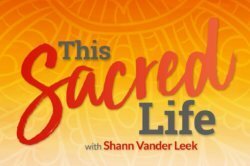 As I tune into the higher realms and ask what would be of the most service to others in this interview, I hear the response to talk about how I have been brought to my knees in prayer asking to have the ego energy of the old masculine paradigm in business ushered out as I embrace the new holistic model of success. I have always found that when I pray for what it is that I am desiring to create I must face and heal the shadow that has, up to this point, blocked out the Light. My journey this year took me back into my childhood where I was astounded to find that I carried so many of my Air Force Major and entrepreneur father’s belief systems about business and that I was actually fighting against accepting that I claimed them as my own. It has always been so apparent to me that my brother was the apple that didn’t fall far from the tree in relation to my father and his ideas of success, business, client relations, driving purpose and intent, etc. I thought that because I had spent the last two decades working on healing and owning my true self that I didn’t have any of his tendencies in me. Over the past few years, since my return to the USA after spending 10 years in Mexico, it became glaringly obvious to me, as I had been working to reestablish my private practice and develop a brand of my own, that I had repetitive patterns that needed to be released so I could be free to walk a “heart-centered entrepreneur” path. It was different in Mexico for me, because I was really the only English speaking person offering my services for 10 years, so there was no need for these issues to surface in my private practice there. But welcome home and the dragon was released. I have been growing and clearing my fearful competitiveness, my desire to be the BEST (which meant someone else wasn’t), showing up without authenticity, placing money above all else, and wanting a large following to fill up the holes in myself that came from not feeling loved, appreciated and valued in my earlier life. I know I am not alone in this process. My clients that I am assisting to establish their own healing practices as well as colleagues show up as mirrors. I am happy to say that my mirrors are definitely now reflecting back to me these new ideas for business which include working from your heart, honoring your intuition, forming positive and empowering collaborations, the idea that there is enough for everyone to succeed, and we all have gifts and talents to share that are truly needed for the forward evolution of our collective existence on this Earth. Wow! Well, there you have it. Haaa! My guidance came through quite nicely. 1. Being a present parent to my 9 and 4 year old sons. Being a mom has been the greatest gift along my healing path. Those boys are my everyday excuse to pour love in buckets upon another human being. Raising children involves so many daily sacred rituals that I consider blessings. We pray, meditate, eat, and play together. Watching them evolve into who they are intended to be and serving as their guide to get there is amongst my favorite sacred feminine rituals. 2. Daily exercise in a variety of forms. These days I seem content to stretch and head out for an hour walk on the nature trails that are very close to my home. I love the peace that I feel when connecting with nature. 3. Creating space for women to come together each month in my Circle of Light gathering has been a treasure for me. My body is the temple that houses my soul. That in itself defines my desire to honor it, lovingly care for it, and do all that is humanly possible to maintain peace within its systems. For over a year now I have been in hormonal recovery with a wonderful local doctor. I was diagnosed with hypothyroidism and several of my hormone levels were completely off the charts when I arrived in her office. As a result, I was having severe hormonal mood swings, sleeping 12 to 14 hours a night and would wake up exhausted, I gained 40 pounds, and was in a full blown sugar addiction which is what I craved all the time. I had been to several doctors to address the issues but they kept telling me nothing was wrong until I found the right doctor who specialized in female hormonal issues. I will add that this completely affected my libido. It was my wonderful husband that ensured me that I was far from my normal self, but when you are in that it is a challenge to determine that for yourself. Today, after over a year with my doctor using the lowest doses of medication possible, vitamin therapy, and changes in my diet to support my thyroid health I feel back to my lovely self and in harmony with my body. The most important position I had to hold was to love myself where I was and am. I have never been one to have health issues, so I have a new level of empathy and compassion for physical dis-ease in the body. I delight in the physical experience of sexual pleasures within the expression of my true sexual self, so it is delicious to feel healthy again. As a sexual abuse thriver, I will add that healing and embracing your full capacity as a sexual being is a force of its own. It flows as creativity, passion for life, and profound inner bliss. So many people were never given the permission to explore their sexual selves. This is an area that deserves attention. For myself, it meant a healing on the deeper levels of who I am. It involved forgiveness, self-compassion, and God’s strength to get me through that dark night of the soul, but I was worthy of the journey to freedom. There was joy, play, and true intimacy with my beloved waiting for me on the other side. Power for me has become a word that I associate with honoring my heart and adhering to the guidance that comes through my intuition. I am very blessed to have daily audio connection with the angels, spirit guides and ascended masters. They assist me in staying aligned with Spirit as my infinite source of power.How do you embody being a sovereign Goddess? When used as an adjective “sovereign” means possessing supreme or ultimate power. What instantly comes to mind for me is embracing and expressing my most authentic self in each moment. This means honoring my thoughts and feelings as they stream through me. It means letting my fully heart-centered self be shown to the world as well as the courageous, strong, and direct self when that is who needs to show up at that time. For many years I was completely disconnected from myself through a roaring sense of self-hatred, so embodying being a sovereign Goddess today is loving myself to the core imperfections included. 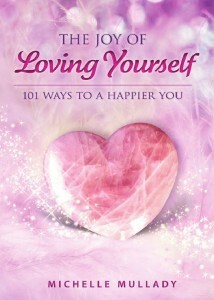 What was your inspiration for writing your award-winning book The Joy of Loving Yourself: 101 Ways to a Happier You? This book stemmed from a request that I received from the international community in Monterrey, Mexico to write a series of articles in their monthly newsletter that went out to hundreds of families living abroad for their work. In the February issue I was moved to write a list of 101 ways to love yourself. It received a multitude of enthusiastic responses which led me to turn it into a book. In all sincerity, awakening to my intuitive gifts via the path of self-love is my life’s healing work and soul purpose for teaching others. We all want to feel loved and I always say “Life is about who you love, so love yourself.” All other interactions and relationships stem from that place. It is where real happiness begins. Please tell us about your Free Offerings. I have several created several ooohmazing FREE gifts that can be claimed HERE. 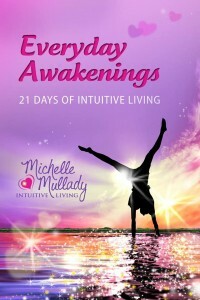 There is my beautifully written and designed e-book Everyday Awakenings: 21 Days of Intuitive Living, monthly newsletter Living in the Light, “I AM LOVE” meditation video, printable Self-Love Daily Can-Do List and affirmation cards. In my FREE e-book you will discover practical wisdom and techniques to awaken into more expanded states of consciousness. Every moment provides opportunities to heal your life, tune in to your intuition, and open new pathways to peace, love, and joy. Begin to open your intuitive channels and learn a little more about loving who you are — right here and right now. We usually drift into the state of waking sleep — which we think of as normal. This state consists of habitual thoughts, emotional responses, automatic behaviors, and reactions to our environment. Waking up requires vigilance and practice. The 21 Days of Intuitive Living will assist you in beginning or continuing to discover the wonder that exists within and to watch as your life unfolds effortlessly, simply, and miraculously. There are Divine surprises and authentic happiness awaiting you if you do the work and apply these techniques to your own consciousness. As you practice these easy-to-apply ideas, you will experience more natural delight, gain a fantastic new perspective about yourself, and create more of what you want in your life. You can connect with me via my website at MichelleMullady.com or email me at info@MichelleMullady.com, or contact me via Facebook. 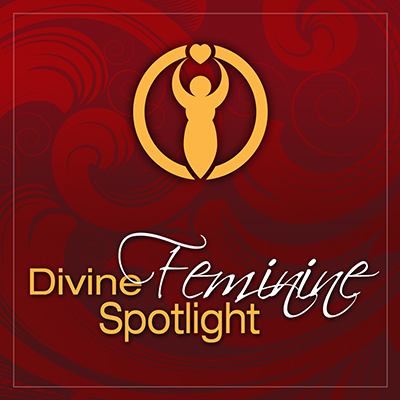 If you enjoyed today’s conversation, you may wish to visit the Divine Feminine Spotlight Series Library to meet all of the transformation goddesses who’ve shared their wisdom and give aways in our podcast interview series. 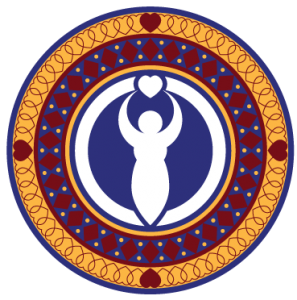 If you know a woman who might be a good fit for the Divine Feminine Spotlight, please let us know. We are currently booking spotlights for 2016. 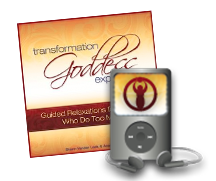 Please help us reach more fabulous women by Subscribing, Rating and Reviewing the Transformation Goddess Podcast at iTunes. Nice to “meet” you, Michelle. I certainly can relate to embracing that ‘ongoing evolutionary process.’ Look forward to hearing more from you. It is so nice to meet you too. I have come to accept that this “ongoing evolutionary process” is a limitless journey into the unfoldment of deeper levels of peace, love and joy. I am just very grateful to be awake and present for it now. Thank you for taking the time to listen and leave your comment. It means so much to me. You have blessed my day. I enjoyed this interview very much — transformation on so many levels! Thank you for sharing your love and light here. My personal transformations have given me a greater sense of meaning and purpose. I just keep praying for the next heavenly assignment. Thank you for introducing Michelle and allowing us to get to know you/her better. Amazing how our stories are different but in some ways are similar. It is an honor to recognize authenticity at its best and shine through the human spirit. Thank you Michelle for shining your light with us to see and know more about the person you are. I love the piece where you talk about self love…SO important as I had discovered as well quite a few years ago and it was the catalyst for change in my life. I have been a consistent member of the Al-Anon 12-step family groups for 19 years now. I loved what you wrote here, “Amazing how our stories are different but in some ways are similar.” It is something that I have found to be true with so many people in the recovery process. We may have walked a different path and have a unique story, but it somehow connects when we start sharing it with others. Sharing my story has become a way for me to satisfy my desire for fulfillment and meaning in my life. It gets me past the story and into the present moment where my life is truly wonderful. Self-love has been the heart of my personal transformation in this lifetime. I am always thrilled to hear of someone else learning, along with me, that loving ourselves is the key to creating miracles in all areas of our lives. Self-love is how we grow and radiate more of the pure potential that we are born to express.